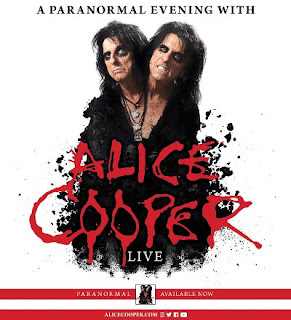 After a break, Alice Cooper will resume his "A Paranormal Evening With Alice Cooper" tour on August 3 and, as of today (April 9), has added over a dozen new dates to the previously detailed itinerary. The tour is in support of his critically acclaimed album, Paranormal, which came out last July. The new leg of the tour now runs from an August 3 date in West Allis, WI until October 24 in Rockford, IL. Two dates, August 10 (Las Vegas) and 12 (Los Angeles), will see Cooper joined by former KISS guitarist Ace Frehley. TED NUGENT? TED NUGENT? TED NUGENT? TED NUGENT?